Check out all the Upcoming Events below! With the snow last week, my whole week was thrown off! But the second deposit for Costa Rica ($200) was due this past Sunday. So I am pushing the deadline back to this upcoming Sunday, January 28th. Please turn in your deposit by then. Also, if your student has not begun the process of applying for a passport, this needs to happen as soon as possible! Once you receive your passport, or if you have it already, make sure I have a copy of the front page of it! Thanks! Join us on Sunday, February 4th to watch the biggest Football game of the year! There will be food, games, prizes and good time of hanging out! All you have to do is bring a $5 donation to Total Ministries as your entry into the party! Invite your friends! All Parents and Leaders are invited as well! It is going to be a great time! 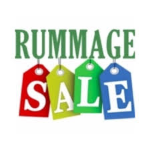 Start saving up your items to donate to the Rummage Sale. If you or your student are planning on attending the Costa Rica Mission Trip, then save the date for March 24th. 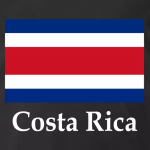 We will be having a rummage sale that day to help raise money for Costa Rica. We will need all hands on deck that day to help make sure the sale runs smoothly. So if you are going on the trip, you need to be here that day. Also, that week leading up to the sale, starting Sunday, March 18th, we will begin collecting items throughout the week. I will also need volunteers to help work throughout that week during the day and evening. So if you are available, then that would be great! Thanks! Save the date for our annual Beach Retreat to Garden City Chapel! Look for more information in about a month! Please e-mail me if you have any questions!